As Discussed, we will recruit one of the Five Board members to step into the Vice President’s role over the next month or so. We will keep nominations open for a week and vote on the lineup at our next Club meeting on March 5, 2019. A Rotary volunteer work crew will be traveling to New Bern N.C. for the week of Sunday July 14 – Saturday July 20 to work with Fuller Center Disaster Rebuilders (FCDR) restoring the interior of homes badly damaged by both high winds and torrential flooding caused by Hurricane Florence in September 2018. Joining Hands, a disaster rebuild organization founded by me in 2005, has worked with FCDR over the years in hurricane damaged areas from New York, down the east coast, and west to Texas. FCDR provides volunteer housing/meals, skilled construction leadership, tools and qualified projects. Rotarian John Bailey, Bailey Coach, is providing – free of charge – his Rotary bus to transport the volunteers to New Bern and to/from the work site daily. Volunteer housing cost is $125/person. Minimum age 16. No previous skills required, home repair experience helpful. Open to Rotarians and non-Rotarians. In addition to John Bailey and myself, we will be joined by experienced Crew Chiefs Rotarian Phil Lehman, Wrightsville Rotary, and Chris Erickson from Hanover. Do you have the passion for serving families in need? Any questions? Contact: Peg Sennett, 717-630-8281, pegsennett@hotmail.com. 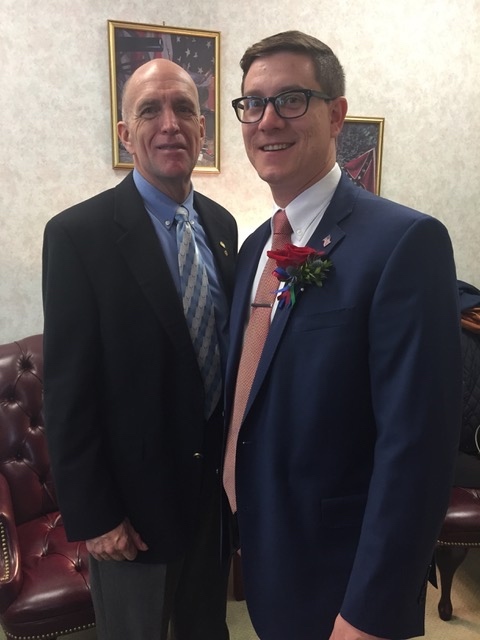 On 1 January 2019, Torren Ecker, the President of the Hanover Rotary Club, was sworn-in as State Representative of the 193rd District. Many of his family and friends attended the ceremony at the State Capital Building. Pictured with Torren Hanover’s Past President, Ralph Jodice, who along with his wife, Judy, also attended the ceremony. The entire Hanover Club is very proud of State Representative and Rotarian President, Torren Ecker. We wish him much success! On Wednesday, December 5, 2018 the Rotary Club of Hanover sponsored a Town Hall Meeting for the community to discuss the opioid crisis in York County and our Hanover area. Approximately 30 members of the community attended. Speakers included Charlene Sciarretta, mother of son who died due to opioids; David Sunday York County DA; Pam Gay, York Co. Coroner; State Reps, Katie Klunk and Torren Ecker. - Opioid Use Visored/Opioid Addiction means a problematic pattern of opioid use that causes significant impairment or distress. Can be legal or illegal use of the drug. - Initially opioids were widely prescribed for pain relief by physicians and the addictive, dangerous nature of the drug was not realized. That led to widespread misuse and addiction. In 2014 in York Co alone, opioid deaths jumped from 10 to 62 !! This caused an awareness of the crisis and formation of the Opioid Task Force in the County to address the issue. In 2018 so far, we have had 218 deaths due to the drug. - It affects all socioeconomic levels, all races, though most are caucasian. Roughly 40% are in the city and 60% in the surrounding areas. - Marijuana is a gateway drug to opioid addiction. - Those who are cocaine users and those just out of prison or rehab are highly affected. - Hanover has the 4th highest incidence of overdose in York Co.
We are very grateful for the time and effort of all of the presenters for this this event. 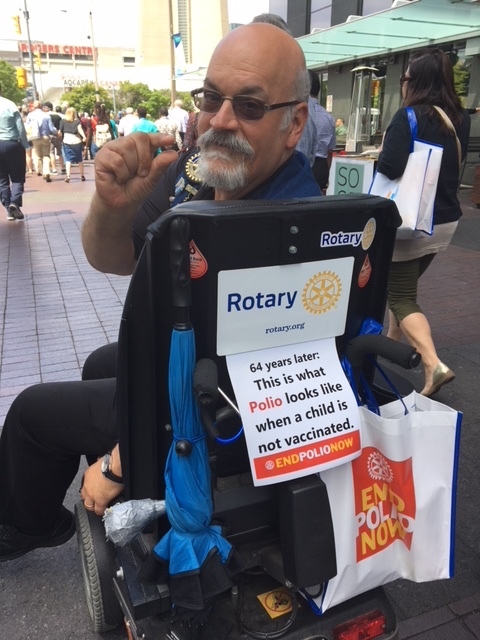 John A Nanni Polio Plus Chair for Rotary District 7630 (state of Delaware) will speak to the Hanover Rotary Club at Bay City Restaurant in Hanover PA at 12:30pm Tuesday October 30, 2018. John has had Polio for 64 years and leads his districts efforts to eliminate polio throughout the World. To help create awareness of this need, John Bailey, President of York based Bailey Coach and a Hanover Rotarian, created a Rotary Coach with his newest coach he took delivery of this year (pictures attached). Bailey has donated 4 weeks use of this coach to do humanitarian work in the Eastern USA with Rotarians assisting in the efforts. The coach will be showcased at the Hanover Rotary Luncheon tomorrow. A highly infectious disease, polio causes paralysis and is sometimes fatal. As there is no cure, the best protection is prevention. For as little as US 60 cents worth of vaccine, a child can be protected against this crippling disease for life. After an international investment of more than US $9 billion, and the successful engagement of over 200 countries and 20 million volunteers, polio could be the first human disease of the 21st century to be eradicated. This week, on Wednesday, 25 April at 7 PM, the Mayor of Hanover will honor our club with a Mayor's Proclamation. The Proclamation will be presented at the beginning of the Council Meeting. President Ralph, Dale Brubaker and Mike Taylor will receive the Proclamation from the Mayor. 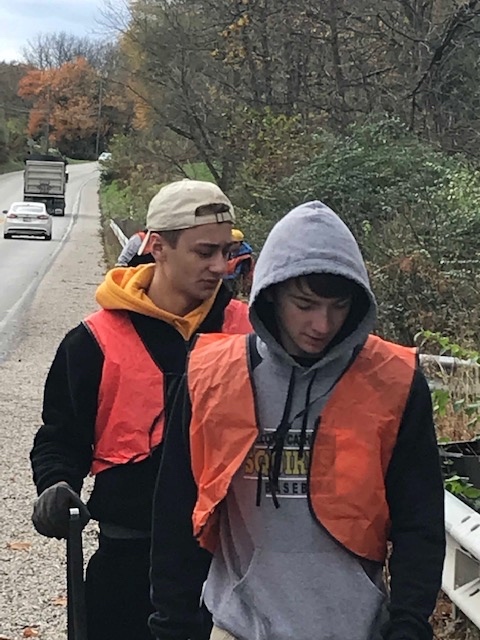 The Proclamation will recognize our club for partnering with the Hanover Shade Tree Commission, our Day of Service Trees Planting and for the purchase of trees located around town. Everyone is invited to attend. Please come out if you can. 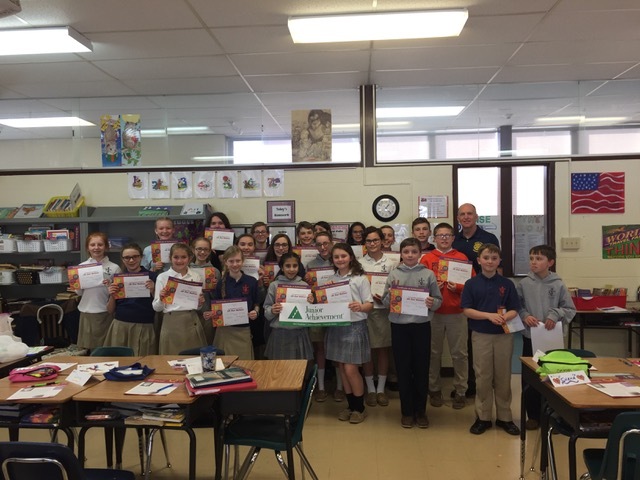 From 19 to 23 March 2018, Hanover Rotarian, Club President and Junior Achievement (JA) Coordinator, Ralph Jodice, taught the Junior Achievement Program, Our Nation, to both 6th grade classes at St. Teresa of Calcutta in McSherrystown. 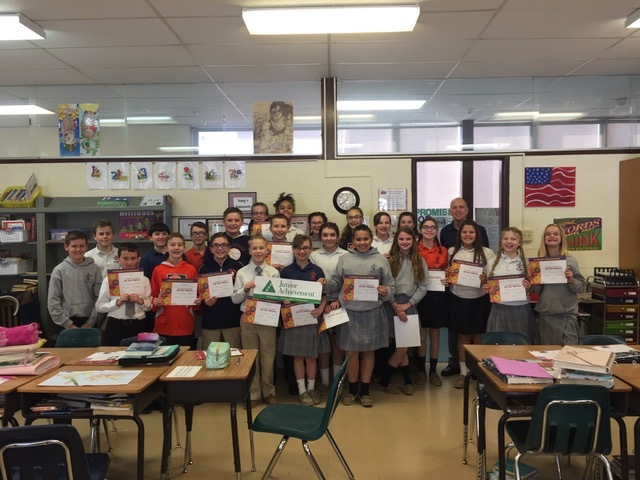 The JA Our Nation Program consists of five, 45 minute classes teaching students about our free market economy, entrepreneurship and innovation, the importance of STEM skills in the work force, potential careers, and how the United States is tied to the global economy. The first picture is of Mrs. Tiffany Stultz’s class. The second picture is of Mrs. Sherry Chroniger’s class. Additionally, on 15 March 2018, Hanover Rotarians Bert Elsner, Bob Miller and Mike Cooper supported JA’s STEM Summit at South Western High School in Hanover. Merle Zehr and his committee are currently asking all members to help sell tickets for our upcoming Cash Raffle in May. Tickets are $20.00 each and we need Rotarians to sell as many tickets as they can. As a Club we need to sell $7000.00 as a minimum to break even, and if ALL tickets are sold we could earn close to $15,000. A drawing and cash award will be held every day in May and when a ticket is drawn, it goes back into the pot for a chance to win again. So, ticket holders have numerous chances to win. As with our other fundraisers all proceeds will go to support local non-profits, charities, and community needs. Big thanks and congrats go out to Kelly and the entire Tastfest Committee!!! As with our other fundraisers, all proceeds go to support local community needs. At our meeting on Tuesday July 11, President Ralph outlined Goals for the Club for the coming year. He emphasized that these goals did not come out of thin air, but they reflect the RI goals, our District Goals as well as input he received through the Club survey conducted several weeks ago. He distributed 3 documents - a powerpoint type presentation, a tri-fold brochure and a bullet style single sheet. If you were unable to attend our meeting today, these will let you know what our plan is for this Rotary year. A '+' symbol indicates the goal is in line with a Rotary International goal. A '*' indicates the goal is in line with a District 7390 goal. The Rotary Theme for 2017-2018 is...Making A Difference. 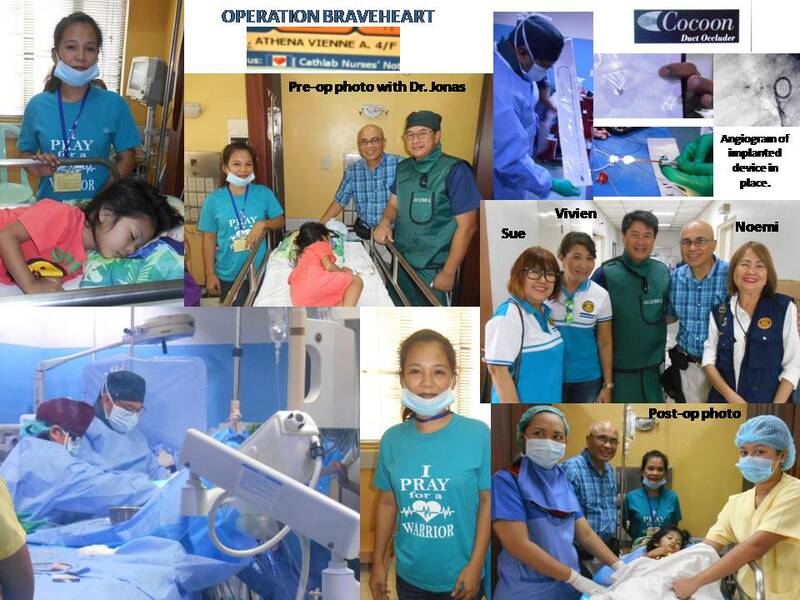 Our Vision is to MAKE A DIFFERENCE no matter how large or small in the Hanover community and internationally as well. If asked by anyone what our club does, please feel free to use the tri-fold brochure as a handout. All 3 of the documents are up on our website in the DOWNLOADS SECTION. If you have any questions or comments, please let Ralph know. 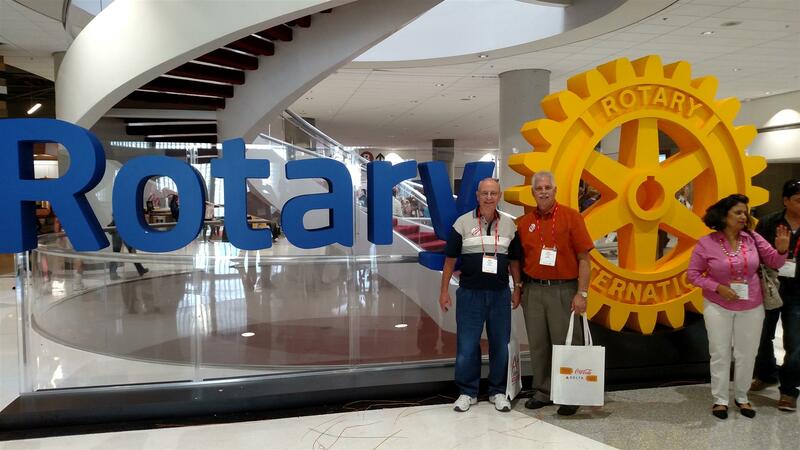 Two members of the Hanover Rotary Club are attending the Rotary International Convention in Atlanta, Ga this week. Pictured here are Bob Miller and John Bailey. The RI Convention is not always this close to home as it moves each year to various countries around the world. Bob and John took advantage of the proximity this year to attend. 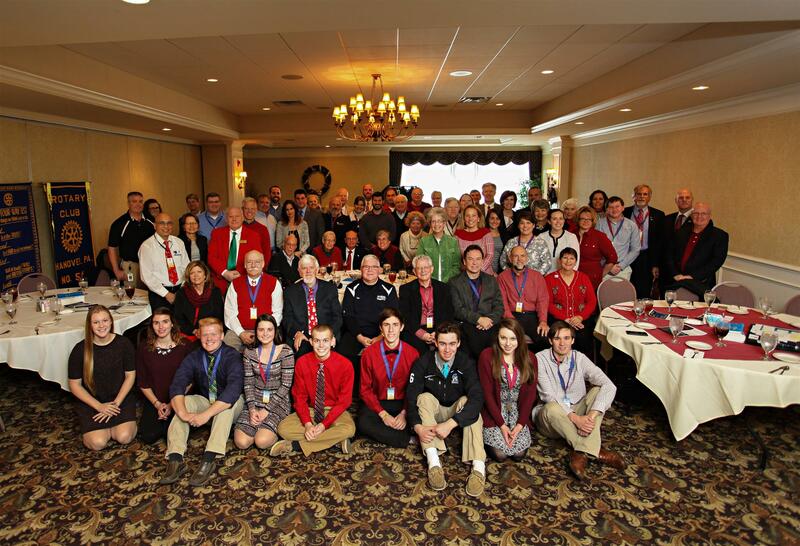 On Tuesday, December 20, a group photo was taken of the Hanover Rotary Club before our regular weekly meeting at Bay City Restaurant. Our program that day was a wonderful performance from the choral group from Hanover High School led by Deb Smith. The students were all dressed in period costumes and they did a marvelous job!!! 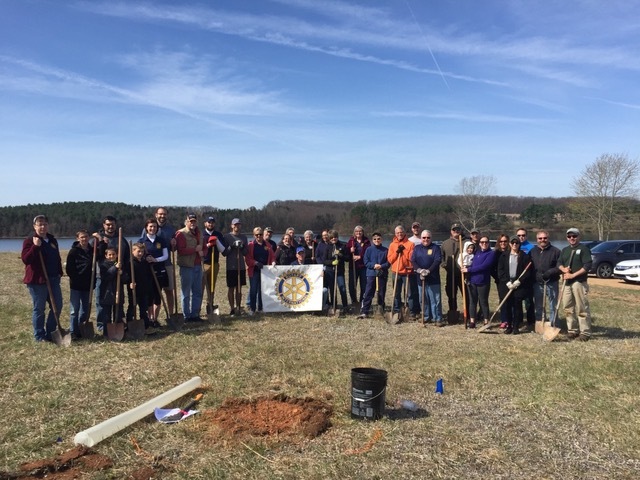 Thanks to the efforts of members Torren Ecker and Jim Balthaser, the Hanover Rotary Club recently obtained 501(c)(3) tax exempt status as a non-profit organization. 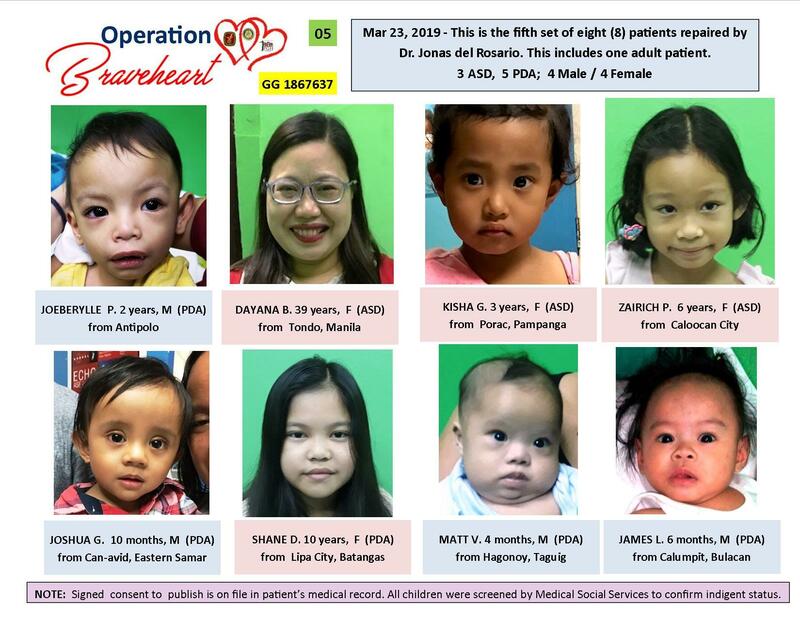 We believe this status will be an added incentive for individuals and organizations to donate monies to our various fund raising events which enables us to support local, national, and international people in need. I changed my iPod's name to Titanic. It is syncing now! We received a thank you letter from the Hanover Area Council of Churches regarding the Interact Club’s $1000 donation to the Council’s Provide-A-Lunch (PAL) program! April Service Projects - Save the Date! 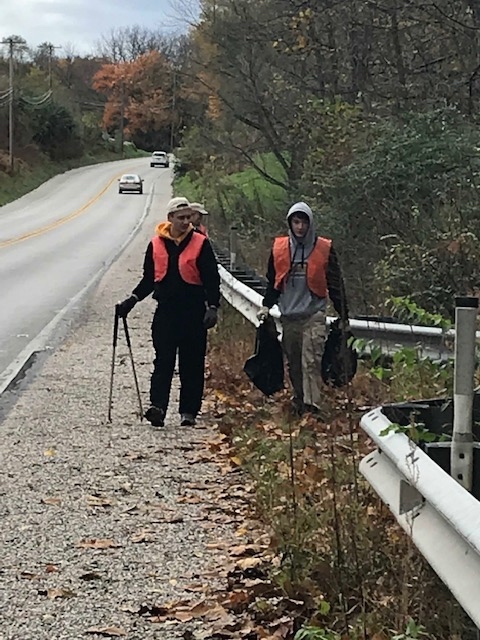 PennDOT thanks all Interact members who participated in the Adopt-A-Highway last November! All Interact Club members should donate a toy to the bin outside Mrs. Marrocco’s room (122) in order to count it as one service project. Pit Beef/Pork Sandwich Sale - November 10, 2018 from 11 a.m. – 3 p.m.
Come out and support the Pit Beef Sale for Interact Club! Representatives of the Spring Grove Interact Club made a presentation to our Club on Tuesday March 12, 2019. They are a newly formed Club in the High School and they have done an outstanding job 1)in pairing their mission to Rotary Missions, 2)organizing themselves, 3) integrating technology into their Club, 4)creative fundraising efforts, 5) worthwhile service projects in the community and the world. They are off to a fantastic start!